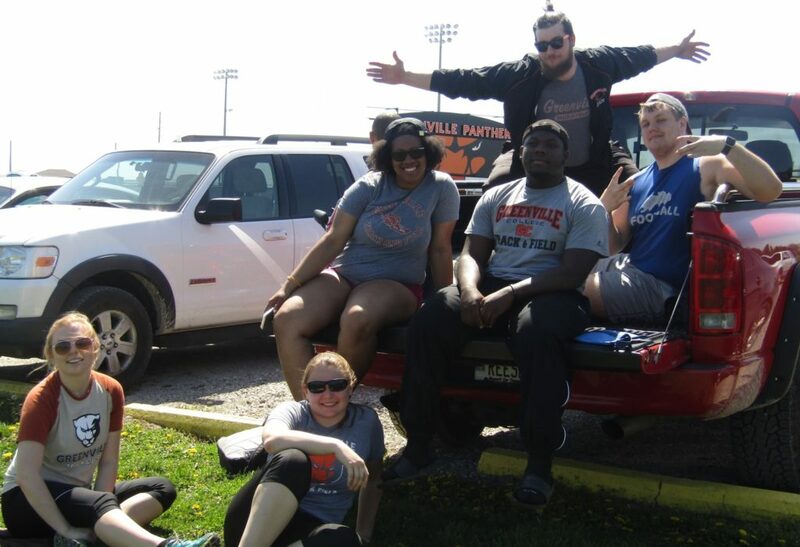 Being a thrower at Greenville University is not the most fun thing at times. From the countless hours spent in the weight room to grueling off-season workouts to daily practices and throwing heavy implements, their bodies become wore-out. Despite the hard practices and lifting sessions, the Greenville throwers are able to achieve great success in the throwing rings. Not only are the present day throwing athletes successful, but past generations of throwers have been as well. Even with all the success, there is always hardships to battle and the throwers have encountered many of these over the past few seasons. No matter the circumstances, the throwers always have time to have fun together as a family. 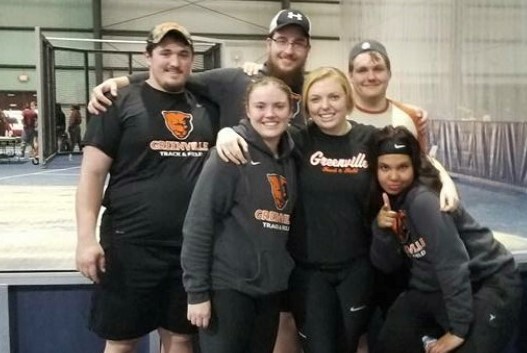 The daily routine during the week for the throwers at Greenville usually consists of morning lifting three days a week during the off-season and two days a week during the season, then they head off to class. The team has a wide variety of majors from digital media to a criminal justice and many in between. After classes end, it’s practice time for the throwers. Mondays and Wednesdays are technique and plyometrics days to help the throwers get explosive and perfect their technique. Heavy throwing days are on Tuesdays and Thursdays to put the technique work into the full throw. Finally, Friday is meet day practice to get everyone ready to compete at their best on the meet on Saturday. To finish each day off, the throwers attend study hall to work on homework and be the best students they can be. The senior throwers include Tori Papez, LC Washington, Chris Crawford, and Mitchell Hooten. They have been at Greenville for four years or more. These seniors had a hard time at the beginning of this journey during their freshman year adjusting to the throwers lifestyle. Even so, it has become a part of their lives and they wouldn’t change a thing about it. Senior captain Crawford feels, “in my time at Greenville, I have experienced many great times with the throwers watching movies and just hanging out. But also the hard times through the hard lifts and the hard practices but I’ve enjoyed these times with the throwers. Spending these last five years at Greenville has been a journey in itself but I wouldn’t have picked a better place to be and any better people to be with. ” While junior Deborah Cunningham said, “life as a GU thrower has shown me how to be a better teammate. I’ve learned that even though it’s an individual sport, your team is always there for you and you need to be there for your team. I’ve enjoyed my 3 years as a thrower because it taught me patience, humility, and more importantly, has helped me grow my relationship with the Lord. 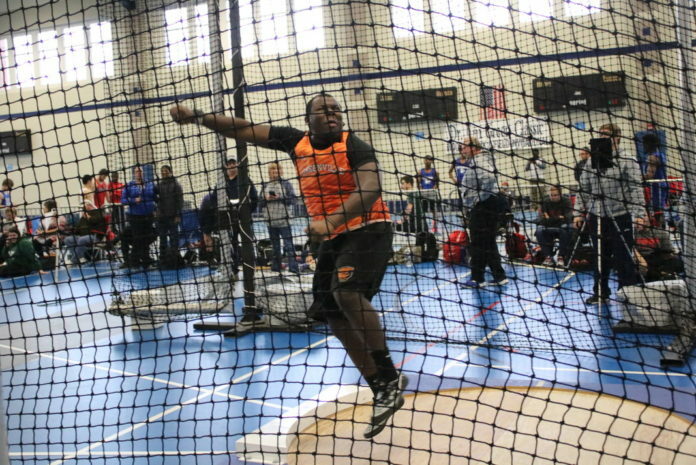 I wouldn’t want to spend my years here at the university any other way.” Hopefully, you have gained a better understanding of what the life of a thrower is like at Greenville University. A thrower at Greenville is a person that works hard in the classroom but also works hard on the athletic field and most importantly honors God. But a thrower couldn’t be these three things without the leadership of throws coach Tom Broomfield. In twenty years at Greenville, Broomfield has led the throwers of the past and still leads the throwers of the present to be the best people they can but also the best athletes they can be in future. With the great leadership of Broomfield, it’s easy to tell that the Greenville throwers will be ready to throw far and be great people all at the same time. Click here for the men’s schdule and here for the women’s and come out ans support your hard-working thowers as well as the rest of the Greenville Track and Field team! Next articleSummer Pursuit: What’s it Like to be the Leader?